if p then q is very pleased to announce a new publication of reviews, essays and interviews by poet derek beaulieu. The edition is available at a snip of £5 or as a free pdf edition. 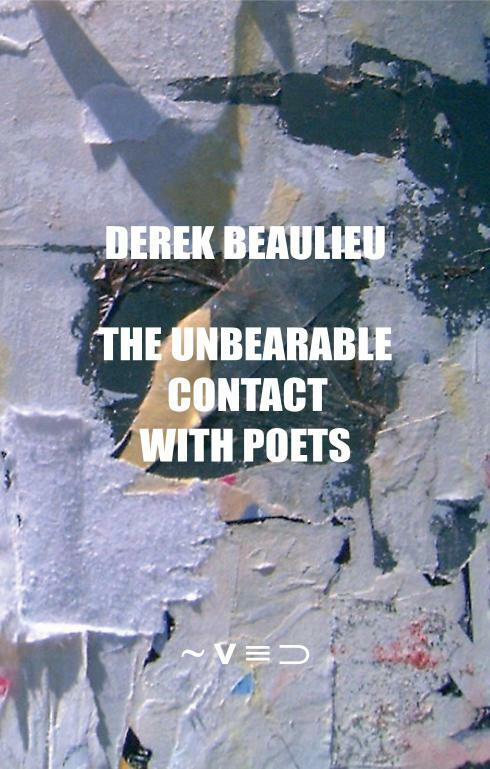 The Unbearable Contact with Poets, derek beaulieu’s second selection of essays and reviews, is essential reading. A keen and shrewd essayist, he marks himself out as one of the key commentators on contemporary concrete and conceptual poetry. The selection includes a substantial review of concrete poetry by women, an exploration into concrete and conceptual poetic representations of the holocaust, alongside interviews with Tony Trehy, Natalie Simpson and Gregory Betts, as well as lots more. The edition is available as a free pdf and as a perfect bound copy. derek beaulieu is author of eight books of poetry (including a volume of his selected poetry entitled Please, No More Poetry), four volumes of conceptual fiction (most recently the short fiction collection Local Colour: ghosts, variations), 2 collections of critical writing and over 175 chapbooks, derek beaulieu’s work is consistently praised as some of the most radical and challenging in contemporary Canadian writing.